Catfish and The Bottlemen’s third album will be titled The Balance, set for release on Friday 26 April 2019. In a rush of confirmations following the successful release of new single, Longshot, earlier this month, it’s now known that the new album release will be closely followed by a run of live shows across UK and Europe this Spring. TICKETS ARE LIMITED TO X4 PER PERSON. THE NAME OF THE LEAD BOOKER WILL BE PRINTED ON ALL TICKETS THEY PURCHASE, THIS PERSON MUST BE IN ATTENDANCE AT THE CONCERT. The name cannot be changed once the purchase has been made. When the lead booker attends the show they will be asked to present matching PHOTO ID to gain entry to the venue. IF THE ID DOES NOT MATCH ENTRY WILL BE REFUSED. The ticket purchaser must enter the concert accompanied by all their guests. Guests will not be allowed entry without the lead booker present and ID matching the name on the tickets. 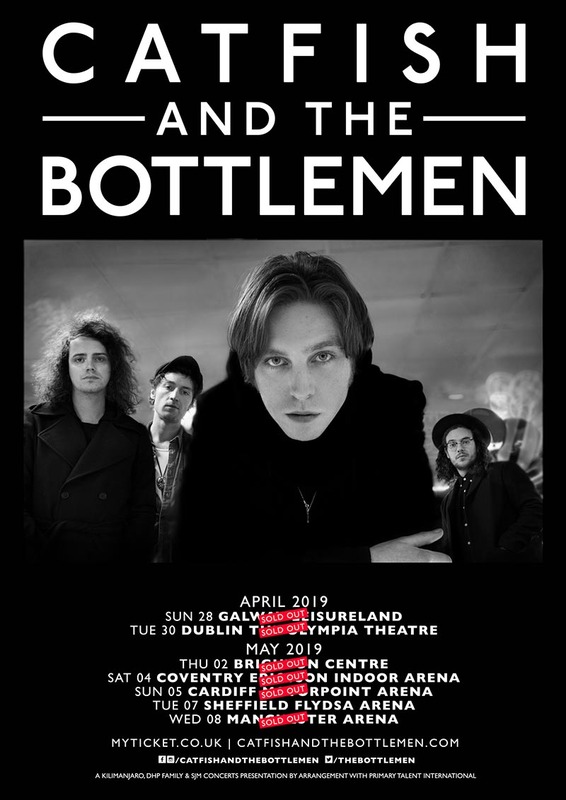 The only places that tickets purchased here can be re-sold to another customer for entry to the show is through the face value ticket resale sites http://www.seetickets.com/content/fan-to-fan and "Twickets" www.twickets.co.uk and https://www.ticketmaster.co.uk/ticket-exchange. Other than these tickets are strictly not transferable. Failure to adhere to the terms and conditions may result in the customer's order being cancelled without refund.